It’s Earth Day: the Earth’s birthday! This year, the Earth turns the big 4-0-0, and Groupon is committed to helping the planet reach 401 by supporting eco-friendly Earth Day campaigns. 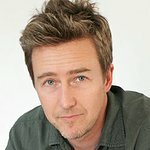 Groupon honors its signature green with two major initiatives: the launch of Groupon Grassroots (formerly G-Team) and the Groupon Challenge with CrowdRise, a company co-founded by Edward Norton, actor and United Nations Goodwill Ambassador for Biodiversity. Groupon Grassroots is the latest step in the evolution of Groupon’s social giving, inhabiting the charitable exoskeleton once worn by The Point and more recently, G-Team, which saw more than 100,000 people raise more than $3 million for 500+ projects. Groupon Grassroots is a new way to discover local causes, rally together with others and lend a helping hand. Grassroots supporters can continue to positively impact their community in ways they couldn’t do alone, such as donating to plant a community garden or repair a neighborhood playground. To commemorate Earth Day and the program’s rebranding, Groupon Grassroots will host 50 environmental campaigns and kick off each with a $1,000 grant. Groupon Grassroots has also partnered with CrowdRise to further extend the Earth Day celebration. Edward Norton founded CrowdRise in 2010 to make it fun to give to a favorite nonprofit organization by empowering people with engaging game theory and a modern approach to charity. Beginning April 16, consumers can take the Groupon Challenge by visiting CrowdRise and donating to a cause of their choice. The campaign that raises the most money through May 15 will receive an additional $25,000 from Groupon, while the second- and third- highest fundraising campaigns during the month will receive $15,000 and $10,000, respectively.